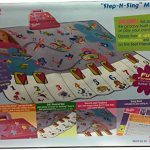 Large easy to use mat, 2 1/2 x 3 1/4 feet. Includes 9 built-in songs and can also record & playback your own songs. 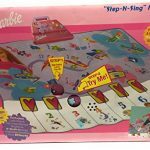 Includes Barbie bag with buttons for play, record, pick a song and more, a roomy soft musical mat, record and playback songs using the 15 note keys and sound effects, and a song book to play along to. 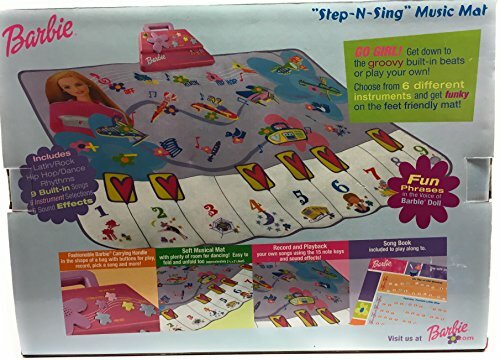 Soft Musical Mat with plenty of room for dancing! 2 1/2 x 3 1/4 feet. Easy to fold and unfold too. Record and Playback your own songs using the 15 note keys and sound effects. 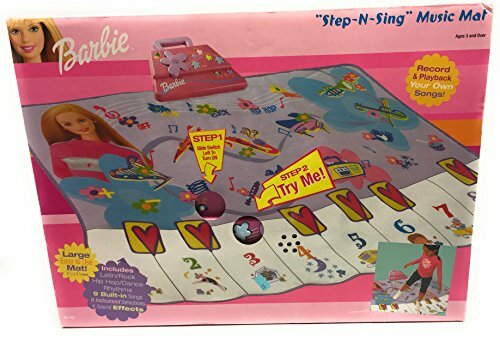 Song book included to play along to. 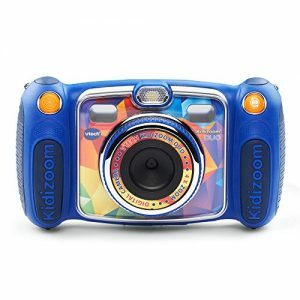 Ourlife kids Waterproof Camera with Video Recorder includes 8GB memory card. •FEATURES: Easy to operate. 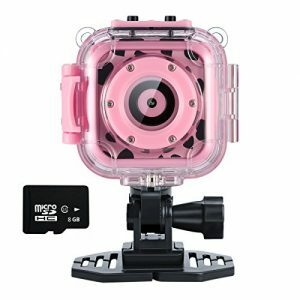 Supports photography and video with the ability to replay and delete both. Complementary Metal Oxide Semiconductor ( CMOS ) image sensor, capture high resolution photos up to 5M ( 2592×1944 ), HD 1280×720 pixels, 30 frames per second (fps), built-in microphone, micro SD slot with 32GB maximum support capacity. 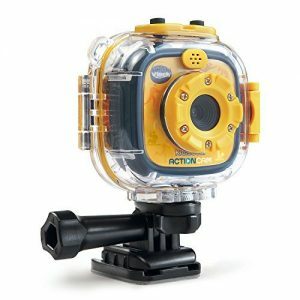 •VERSATILE: Built-in 3.7V rechargeable lithium battery, 1.5 hour continuous recording time, Specially designed 1.77″ LCD screen. Included: neck strap for convenient carrying, mounting kits for bicycles and helmet for safer use. 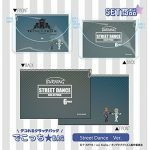 Safe and Durable Video Camera – The kids video camera comes with a hand strap like the traditional camcorder for a easy grip and some protection when recording videos. 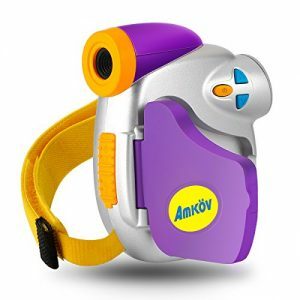 With the neck strap, the toy type video camera would make your young child enjoy taking pictures and making films in a safe and comfortable way, no need to worry about accidental slips and falls, which makes it durable. 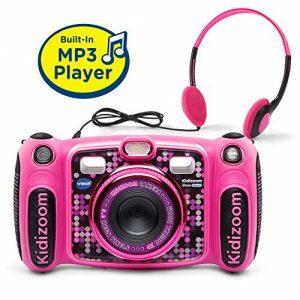 Budget-Friendly Kids Camcorder – The kids DV recorder is a very budget-friendly for young children. With the kids camera of their own, they would stop requesting to use your expensive digital video cameras. This will help you keep a peace of mind when they are out or about to using it and no need to worry or constantly supervise their activities. Best Recording Tool – The 1.44″ screen of the child video camera is sufficient for the young ones. The kids video camera features a 1.3 megapixel sensor with 4 times digital zoom that gets the job done for younger kids who want to film, which brings them a lot of fun and gives you the opportunity to see the world from your child’s perspectives. With a TV cable (not included in package) they can output the movies they made to the TV. Transfer and listen to your favorite music with the built-in MP3 Player, a built-in speaker and the included headphones. Take fun photos with special camera effects, shake to animate effects on screen, film entertaining movies.